1. 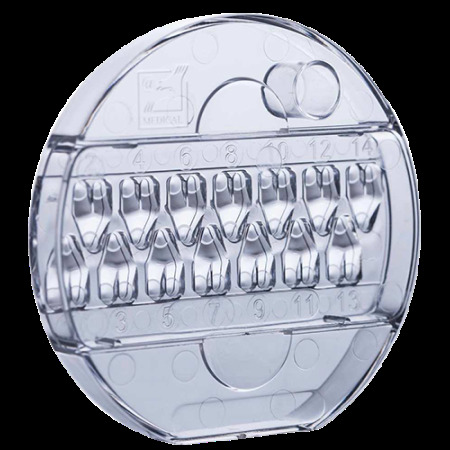 Holds up to 14 embryos with individual numbered wells (1-14). 2. For single and separated culture where each embryo is cultured in its own environment. 3. Ergonomic design for easy handling and location of embryos. 4. Separate well for pH measurements. 5. Oxygen plasma treated for high wet-ability (hydroscopic). 6. Packed in 1 dish pouches and delivered in boxes of 25 pieces.